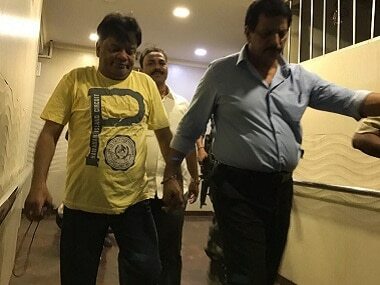 Mumbai: Underworld don Dawood Ibrahim's wife Mehajabin Shaikh had visited Mumbai to meet her father last year, police officials said, quoting the fugitive gangster's brother Iqbal Kaskar, who has been held in an extortion case. The sensational revelation came after Kaskar had earlier told interrogators that Dawood, a designated global terrorist, is still in Pakistan. Kaskar, arrested by the anti-extortion cell of the Thane police earlier this week, has given some vital information about Dawood and his family, the police officials said. According to the officials, Kaskar has allegedly told them that Dawood's wife Mehajabin Shaikh alias Zubeena Zarin came to Mumbai some time last year to meet her father Salim Kashmiri, who lives in Mumbai with his family. After meeting Kashmiri and his family members, Mehajabin quietly left the country, they said. Kaskar has also provided addresses of four residences of Dawood in Karachi, the officials said. Quoting Kaskar, they said, Dawood, his other brother Anees Ibrahim and his close aide Chhota Shakeel are all staying together in a posh locality in the Pakistani port city. Anees Ibrahim usually makes phone calls to his family members in Mumbai on the occasion of Eid, they said. The team, which is interrogating Kaskar since the last four days, also asked him questions about Dawood's health. According to the officials, Kaskar has claimed his elder brother is "fit and fine" and not suffering from any ailment. Kaskar's claims, made before a Thane Crime Branch team, are being verified, a police official who is part of investigation in the extortion case, said. Kaskar and his associates had allegedly been threatening a prominent builder in Thane in Dawood's name since 2013 and had extorted Rs 30 lakh and four flats from him. Kaskar was deported from the UAE in 2003.